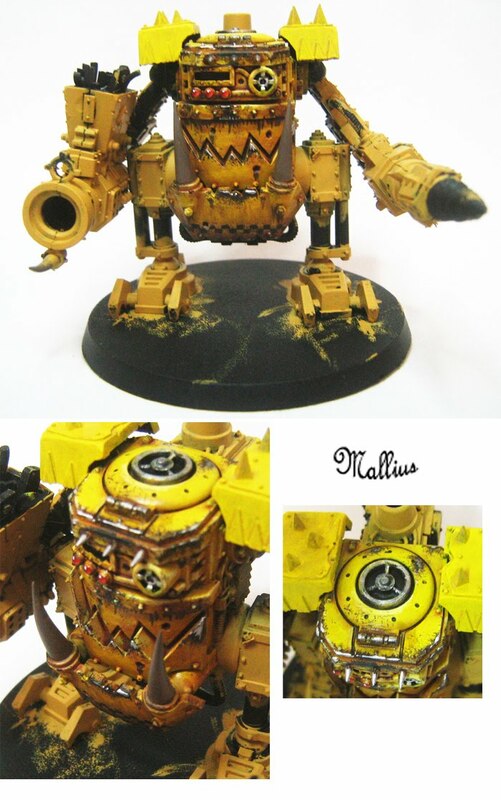 Avernus in Miniature: Work In Progress... soo much yellow paint! 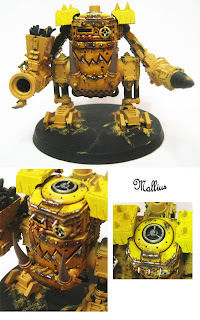 Today, I've started working on my amassed ork dreadnaught collection, 3 Killa Kans and 1 Deff Dread. After a great deal of playing around, washing, mixing, scratching, denting, etc... i've managed to come up with this paint job concept. Only the central portion of the dreadnaught is painted so far as i'm still working on the rest of the armour, but in another day or two this model should be complete. That is freakin' wicked!!!! I love it! I want to see more.